No arrests. It looks like the left will try to use this as an impeachment tool, which the conservative elite have been predicting all along. Then again, nothing might be in it. In which case, it was the moral responsibility of the swamp to investigate an outsider. Just ask Massena. The fear is great in the establishment. Timing is perfect to stimulate the socialist revolution. Why? Is there something special about this time of year to stir up the red brigades? They don't fight in winter? I dunno. Not too worried about 'red brigades'. The Progressives won't take such actions until they're in power. This isn't 1916 Russia, there's not a massive rift with a large swath of 'red' among those actually able to fight a civil war. Any attempt by Progressives to start a civil war would require some major incursions by outside powers to assist them, as their local assets are too fractured and incompetent to fight an effective war against pretty much any existent force (police, military, Salvation Army ) presuming that the latter had permission to take the kid gloves off. 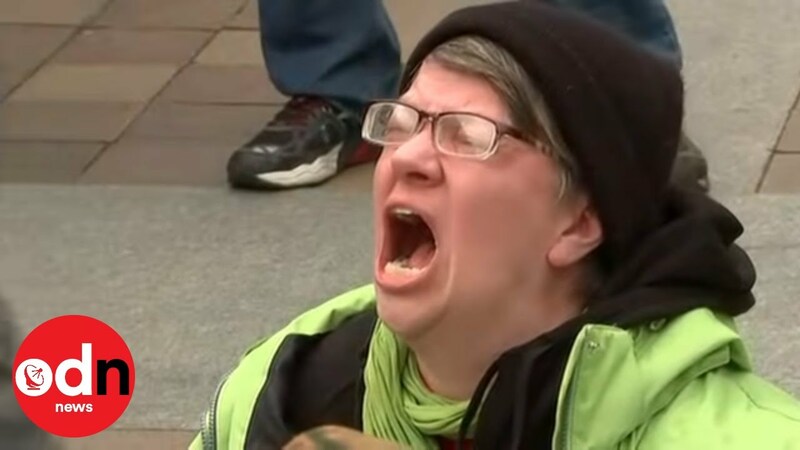 Since it is looking like the Mueller report will be a “nothing burger” I’m wondering if the left is going to behave the same way it did after the election. I believe far too many of them saw Mueller as a way to overthrow the election. He was their last, best, hope. I think they'll get more desperate...and dangerous. It’s another terrible day for the snowflakes. The likelihood is that if the Mueller report is a "nothing burger," the Left and Democrats will pillory him for not indicting Trump will likely claim that Trump and Co. somehow got to Mueller and coerced / bribed him into not doing that. They will then say the witch hunt is not over, and will never be over, until Trump is in prison. The ascendancy of the far left in the democratic party is a temporary condition I suspect but at the moment they have a voice. The Mueller report should have come out before the mid terms to deflate at least some of their popular rhetoric. My use of the term civil war was figurative not literal but Alexandria Ocasio Cortez's and her kinds challenge to the democratic establishment is a civil war of sorts within the party. This is going to give them even more credibility as they force the leadership to be even more radical. The movement of the leadership to the left in order to placate that voting block legitimizes radical leftism more than they realize and they are apparently powerless to stop it. There is nothing than the irrational hatred of Trump to galvanize what would be an otherwise irrelevant movement in to something dangerous at the moment. I think Pelosi had advance word of Mueller's report date, which is why she announced that impeachment was off the table. There was only one acceptable conclusion from Mueller’s investigation and the fact that it turned out to be nothing will be seen as proof of trump’s corruption, not his innocence. In time, the MSM will mention this in a list of investigations against trump to convey the message that lots of investigations is proof of guilt. I’m particularly curious to hear from dems like Schiff who recently promised us that there was plenty of guilt on trump’s part. Why take that stand if there was the slightest chance mueller would give you something. Her comment that trump wasn’t worth it reminded me of a 5 year old walking away from a lost dispute. I wonder if the MSM will report on how Mueller has cleared trump or cover it as if it is proof of some other guilt. Or pretend it didn’t happen.